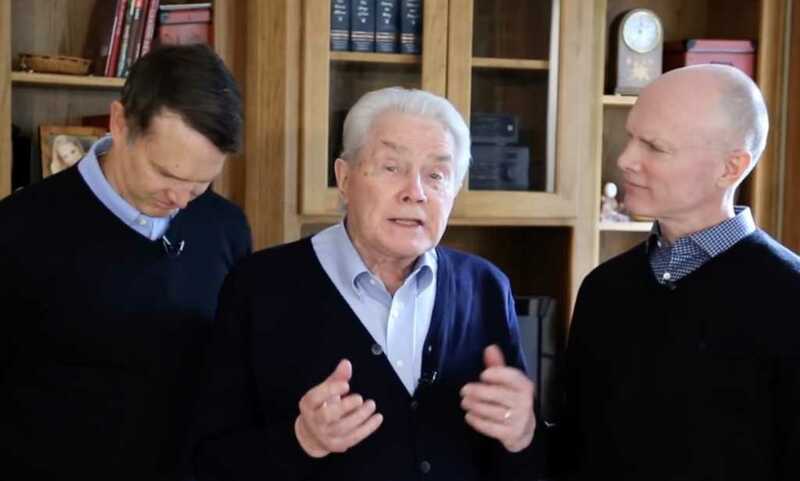 Famed evangelist Luis Palau revealed in a video this week that he has stage 4 lung cancer and that it would “literally take a miracle” for him to be healed. Palau, 83, who is known around the globe for boldly preaching the gospel, stood next to his sons, Andrew and Keven, as he revealed that his first reaction to the news was to cry over the fact that he won’t be able to hear his sons’ voices anymore. But despite feeling sadness, the evangelist said that the Bible is sustaining him, especially the promise that he will get to meet Jesus. The evangelist said that he is “ready” if God chooses to take him in a few months, two years or at any other time. Palau also expressed a happiness to go to heaven — a spiritual realm that he has often preached about over the years. Palau’s son, Kevin, who has been leading the Luis Palau Association as president and CEO for the past decade, explained that his father’s diagnosis came in early December after Palau returned from a trip with a cold that didn’t seem to pass. After initial tests doctors found cancer in one of Palau’s lungs, but it wasn’t until recently that the family learned it is stage 4. It’s a diagnosis that also initially left Palau in initial disbelief. Prayers up for Palau and his family.